Around 9 p.m. on Monday, July 23, the 62-year old man from Burien turned himself in as the suspect who assaulted Mayor Jimmy Matta. 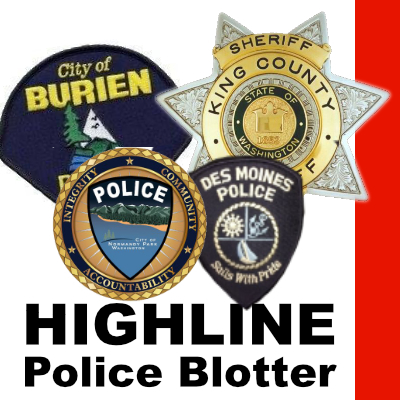 Burien Police arrested the man and subsequently released pending the investigation outcome. Charges are expected to be forwarded to the Prosecutor Office, recommending malicious harassment charges. Police chief Ted Poe explained that on Saturday evening, July 21, during the Olde Burien Block Party, Matta contacted officers, who were working at the event. He told them that around 7:40 p.m. a man confronted him and threw his arm around the mayor’s neck. Four victims were treated for gunshot injuries after 2 groups exchanged shots in the area of Wooten Park. on July 28. None of the injuries were life threatening. An investigation is underway. A person who got into a likely drug-induced stupor and then wanted to fight everyone - including police was arrested on Marine View Drive in Des Moines July 27. He was taken to King County Jail and booked.